Ofcom has said it sees no reason why the BBC can't reconfigure its digital radio multiplex to give more listeners in Wales access to BBC Radio Cymru and BBC Radio Wales. Setting out its plans for the 2016/17 operational year, including activities relating to the expansion of DAB digital radio, the regulator revealed that it had been approached by the Welsh Government over concerns that the signals carrying the BBC's two radio stations for Wales don't cover all areas sufficiently. 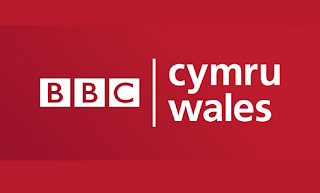 Acknowledging that the availability of BBC Radio Cymru and BBC Radio Wales is primarily a matter for the BBC, it noted that while FM coverage of BBC Radio Cymru was high, BBC Radio Wales could only reach 81% of households on FM. With the BBC currently exploring options for improving BBC Radio Wales FM coverage, Ofcom confirmed that it saw no reasons why the existing BBC National DAB multiplex, which carries all of the BBC's UK-wide stations, can't be re-configured to add BBC Radio Cymru and BBC Radio Wales via 14 unnamed transmitter sites in mid-Wales. BBC National DAB reaches 97% of the UK. Adding BBC Radio Cymru and Wales would affect the amount of space available for other BBC stations in mid-Wales. Meanwhile, in South, south-west Wales and North Wales, various local DAB multiplexes are currently being expanded to reach more people. These multiplexes already carry BBC Radio Cymru and BBC Radio Wales, which would complement any re-configuration in mid-Wales and any gaps in FM coverage. Due to the way the BBC National DAB multiplex is broadcast as a single frequency network across the country, a solution that is being portrayed by Ofcom for mountainous mid-Wales is unlikely to be viable in other parts of the UK. BBC Local Radio in England and BBC radio stations for Scotland and Northern Ireland are carried on a network of local DAB multiplexes, operated by commercial organisations. Ofcom does not plan to force any changes; it says that it is "a matter for the BBC to decide" on whether they will move forward with these proposals. The Welsh Government has said that it "looks forward to receiving further information on the options on the table in due course and to a suitable solution being put in place during the forthcoming year." If we can get Radio Wales across the whole country on FM then they could look at decommissioning MW. That would then save money. As Much of Radio Wales is on MW thru mid Wales. Radio Cymru has greater FM coverage. I think we should get a national Multiplex for Wales. Others services could take advantage then but the BBC could put the two stations on that mux and take them off the local ones then. Starting roll out of coverage in mid Wales 1st. Or if not then expansion of local muxs is great and needed so that'll help. If BBC National mux did do some reconfiguring then we could get Radio Cymru & Wales on the mux. Maybe even in DAB+ so less space is used again. But however this is done it will b welcomed by us all. Even though it should have been addressed years ago. Surely part of the answer regarding bit rates is to take the BBC Asian Network off the transmitters in mid-Wales. It's more important that the BBC serves the communities in Wales that don't have access to either Radio Wales or Radio Cymru than broadcast a station with probably as near to no listeners as it's possible to get in those parts. Together with downgrading Radio 1 and 1Xtra to mono would just about create enough space for two more services. Although I must say that this is hardly the answer and only serves to show the farce that is UK DAB radio, spread unequally amongst the haves and the have-nots. Yep - typical Nationalist viewpoint. Split the BBC and get them to broadcast nationalist diatribe. It is up to the BBC and not all areas have been able to get everything. What they forget is it is just mobile coverage that is the issue. It is available by Freeview and others. The BBC improved coverage along the A9 of Radio Scotland but DAB is still rolling out. Of course those places of major population will get the benefits first - but if we went for DAB+ and forced commercial operators as well to join in then we'd have a first class network. That is all down to Ofcom and I am afraid radio frequencies transverse borders - plus in many cases transmitters in one country cover another! If we move to DAB+ my expensive DAB/FM hifi tuner becomes an expensive FM tuner, and I already have an older one of those doing nothing in the loft. There is a lot of equipment out there that can't receive DAB+, because handling DAB+ took far too long to appear on equipment bought in UK. My tuner is 8 years old, the specs for DAB+ were known then, but it was impossible to buy anything that received it. Regardless of what Ofcom claim, it wouldn't work as a SFN with contiguous coverage. If they are going to put Mid Wales on another frequency for 14 transmitters, they may as well operate an additional multiplex at those sites and keep contiguous coverage on the main network. Obviously, that would be more expensive. The main problem here is the UK Government's failed attempt at a digital switch-over for radio and the policy of relying on commercial broadcasters to fund local / regional multiplexes. Still scratching my head at how such a proposal would work on a single frequency network? Multi frequency network, that's fine but then defeats the purpose of having the national multiplex as a SFN, unless they figure it's a small amount of transmitters so it won't matter. There is also the question of what is sacrificed to make up the space and would that apply nationwide? Would we have to see an earlier than planned move to DAB+? This proposal raises more questions than answers.